The awareness around the importance of the data literacy is increasing. The main question is not why data literacy anymore; that would be like asking why it’s important to be able to write your name or use a computer. We are surrounded by data and if employees, policy makers, and citizens don’t know how to cut through the noise to make decisions, those decisions will be governed by gut instinct and what “feels” right. Thanks to our friends at Qlik, we know that 75% of business leaders and full-time workers are not data literate. Now, the biggest question is how to make an organization data literate. To answer that question, we need to understand what holds an organization back from being data literate. One of the biggest challenges with data literacy is unfamiliarity; some people are just not used to using data in their daily workflows. They may be the recipients of some reports that contain data, and they may even be able to read those reports and effectively draw conclusions, but they don’t relate the report to the data behind it, and as such cannot use the data to collaborate and innovate with it for further insights. There is a lack of data thinking mindset. A person is considered fluent in a language when she can think in that language. It’s the same with data. Data thinking should become part of our lifestyle and the way we argue. But you can’t develop a data mentality by taking a 2-day course on how to use a BI tool. According to the 5Cs of data literacy by The Data Literacy Foundation, culture, collaboration, communication, competencies, and creativity are the main ingredients of a data literate organization. Any data literacy program should include activities and exercises that tie all of these 5Cs together. A lot of solutions that are available in the market to address the data literacy gap at the enterprise level include training courses and self-paced elearning modules, which can be useful from a competency perspective, but ultimately fall short on a critical component of data literacy: human interaction and socialization. As anyone who has had the opportunity to play in an orchestra or a band, it’s one thing to be able to play an instrument yourself, but playing with a group of people is an entirely different type of skill that you will only get it if you practice in a group setting, and specifically with that group. There are nuances and personalities in the music that others are playing that you have to be able to adapt to and riff on to create an experience for the audience. This is the same in business. Individuals from different backgrounds (technical or non-technical) should collaborate in an interdisciplinary manner to solve business problems with data. We call this disilofication of data, people, and ideas. 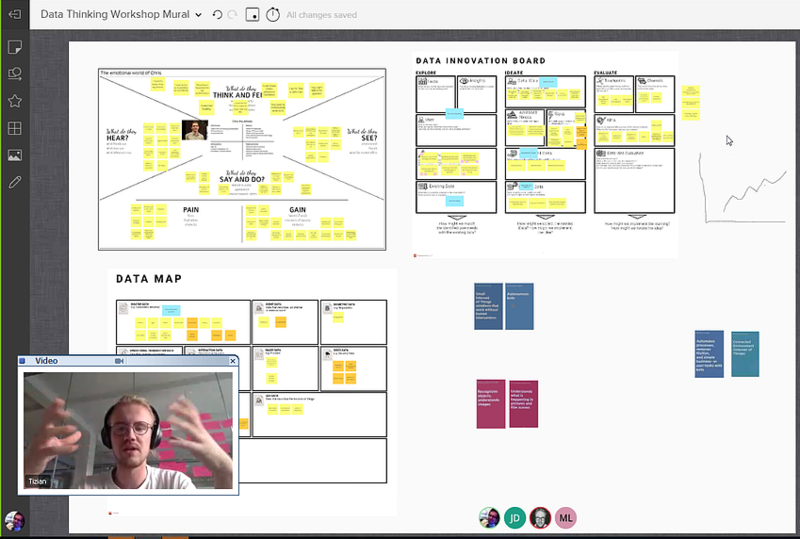 Axis Academy partnered with dlighted, a creative data agency based in Berlin to deliver Data Thinking Workshops as a main component of its Enterprise Data Literacy Program. As pioneers of the Enterprise Data Literacy Program (vs. individual data literacy), we believe data thinking is the first thing that teams should get familiar with in order to be able to talk the language of data to each other. 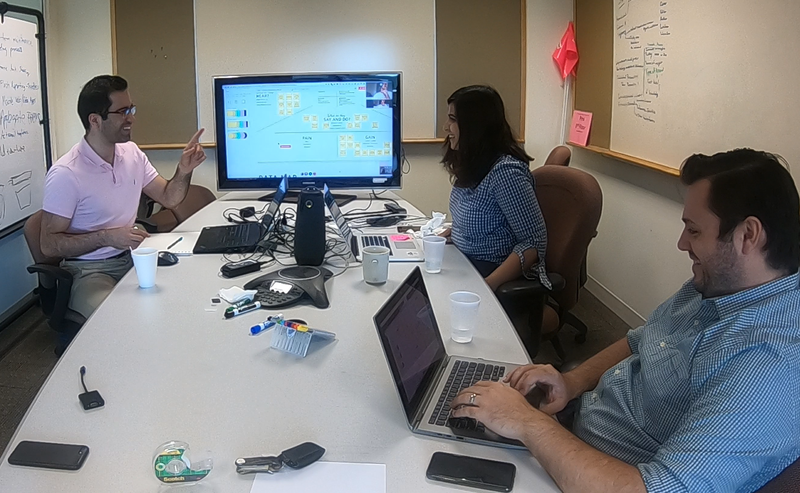 In our real-world experience with the Data Thinking Workshop, Tizian Kronsbein, the founder of dlighted, facilitated the Data Thinking workshop for us remotely. We were able to create a quick data-driven product for the quantified-self, which is a movement built around collecting personal data to be able to understand various factors affecting our lives. It was a great experience for us to dig into our daily lives and investigate the amount of data that we generate, and we are exposed to, and how we can cut through the noise and make better decisions based on the data that is readily available to us. To discover the complete list of all the data competencies, check out our “Guide to Data Literacy” book. 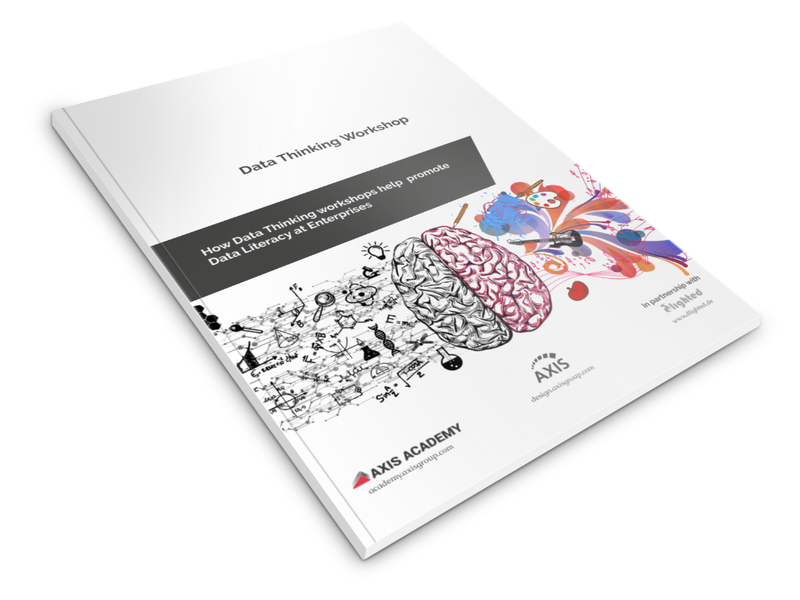 The Data Thinking workshop can be extended from a half day workshop for education purposes to 1-week sprint targeted at a specific use case for building a data-driven solution. One of the immediate outcomes of the Data Thinking Workshop is to spread the message of Data Literacy across the teams and the enterprise. Participants will get a good understanding of data concepts. Moreover, teams will be able to build prototypes and present them to leadership as a quick win for more support. Finally, adding activities such as the Data Thinking Workshop to your education program creates a great employee experience too. The workshop can be part of employee onboarding. Keeping your talented employees requires empowerment and different challenges to be embedded in the fabric of the workplace. Individuals need to be empowered to be comfortable to work with the data as part of their operating model. But first, let’s work on their data thinking mindset! Learn what data thinking is, why it is important, and how the Data Thinking Workshop can spread data literacy through the enterprise.